The latest Rental Market Survey by Canada Mortgage and Housing Corporation was released this month, revealing that the average vacancy rate for primary purpose-built apartments remained unchanged. 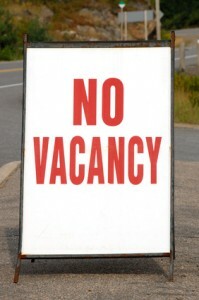 The vacancy rate in Canada’s 35 major centres was 2.7 per cent in April 2014, as it was in April, 2013. “The stability of the national vacancy rate is due to supply and demand factors,” said Bruno Duhamel, Manager of Economic and Housing Analysis. “Demand for rental housing continues to be supported by population gains from net migration and stable employment levels for young workers aged 20 to 24”. The major centres with the lowest vacancy rates were Edmonton and Calgary (1.4 per cent each) followed closely by Kelowna (1.5 per cent). The highest vacancy rates were found in Moncton (10.7 per cent), Saint John (10.0 per cent), and Charlottetown (8.7 per cent). The average rent for a two-bedroom in new and existing structures was $930. The highest average monthly rents for two-bedroom apartments were in Vancouver ($1,274), Calgary ($1,267), and Toronto ($1,241). The lowest average monthly rents for two-bedroom apartments were in Saguenay ($562), Trois-Rivières ($571) and Sherbrooke ($594). CMHC’s Rental Market Survey is conducted twice a year in April and October and provides provide vacancy, availability and rent information on privately-initiated structures in all centres with populations of 10,000 and more across Canada. Note that there are differences between the fall and spring surveys. The spring survey covers apartment and row structures containing at least three rental units, and, unlike the fall survey, does not report information on: a) Smaller geographic zones within centres; b) Secondary rental market (rented condominium apartments, single detached, semi-detached, duplexes or accessory apartments).